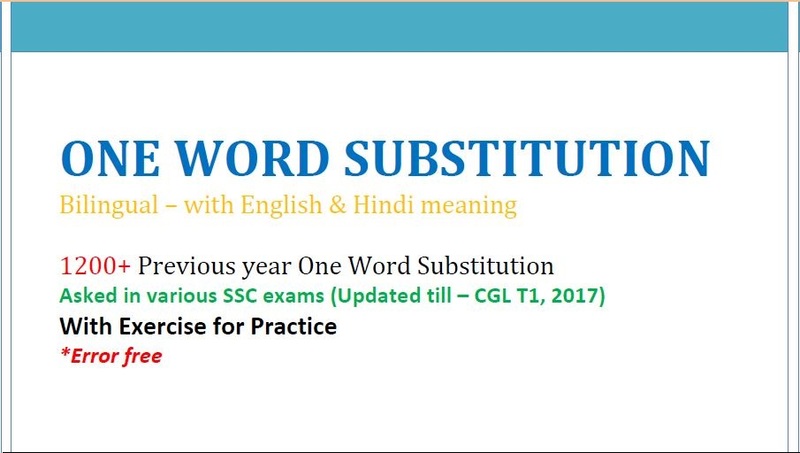 Today , we are providing you 1200+ One Word Substitution Asked in Various Previous Year SSC Exams Updated Till – CGL T1, 2017 (BILINGUAL). 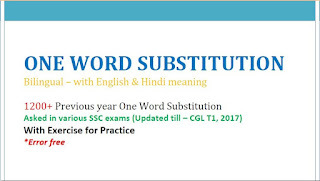 This pdf is useful for all competitive EXAMS. you may download this from the link given below.